Kevin is an professional actor (member AEA, SAG-AFTRA), teacher and theatre artist currently serving as Visiting Assistant Professor of Performing Arts at Elon University, where he directs and teaches Acting (Stanislavski), Michael Chekhov Technique, Dialects, Shakespeare and Improv. 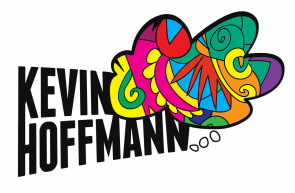 A hardworking and caring teacher with a tremendous respect for craft, Kevin combines highly esteemed training from The Old Globe Theatre MFA program with years of performance experience in New York, Los Angeles and other regional markets as a member of SAG-AFTRA and AEA. Specialties include Michael Chekhov and Stanislavski acting techniques with additional expertise in Shakespeare, Movement and Acting for the Camera. 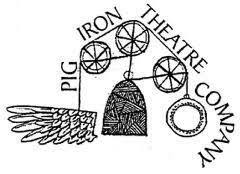 Kevin is excited to be back in Philly for a two-week intensive in devising theatre with Pig Iron Theatre Company. Something From Nothing examines the process of creating a full performance by using ensemble-based movement and collaboration. This fall Kevin begins a 3-year teacher certification in Alexander Technique with Chesapeake Bay Alexander Studies. Having first encountered the transformative work of F.M. Alexander in graduate school, Kevin is incredibly excited to begin this intensive training and incorporate it into his teaching. Kevin is excited to announce that he will be contributing a chapter to the upcoming book Objectives, Obstacles, and Tactics in Practice: Perspectives on Activating the Actor edited by Valerie Clayman Pye and Hillary Haft Bucs to be published by Routledge in late 2019. This book compiles the best practices from a range of practitioners on the subject of working with Stanislavski’s “objectives”, “obstacles”, and “tactics”. Kevin's portion will examine the role of obstacles in the actor's technique.